7. Qu'est-ce que la vie? 1. What Is Life? : with "Mind and Matter" and "Autobiographical Sketches"
What is life and what is consciousness? This brief little book manages to pack more of an intellectual wallop in its slim pages than many other longer books do. The first essay, written in 1944, is called What is life? and attempts to connect what was then known about physics which was then known about biology to answer its title question.Though the material predated the discoverty of DNA it can still presents a challenger read for the layman.Significantly however, it does raise an interesting a suprisingly complex question about the nature of life and where we should draw the dividing line. 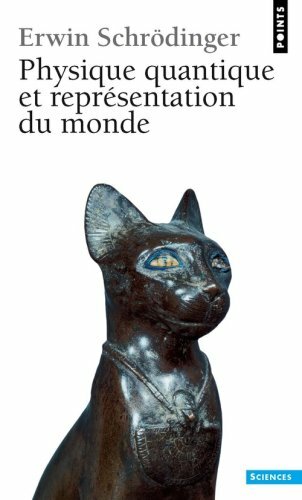 The second essay, written in 1956, is called Mind and Matter and attempts to shed light on the nature of the nexus between its two title topics.For me, this essay is particularly interesting because it really introduces you to the overflowing genius that gave us the conundrum of Schrodinger's cat who sits both alive and dead in famous box to illustrate the paradox that is presented to us under the Copenhagen view of quantum physics.Mind and matter were certainly close to Schrodinger's heart as he was at that forefront of physics which first learned the critical importance of observation in bringing about the existence of quantum phenomenon where trees falling in the forrest litterally couldn't make a sound until they were observed. The rest of the book consists of odds and ends but it all hangs together in dealing with an intellect who every bit as interesting as the questions he raised. I was supposed to read this book for one of my classes, and it was a quick and easy read. But had it not been for this class, I don't think I would've ever read it. "What Is Life" is an excellent look into the brilliant mind of one of the greatest scientists of the 20th century, Erwin Schrodinger. This book suggested the existence of DNA. Tell me thats not important!! Also, "Mind and Matter" is an amazing look into human consciousness and will definitely provoke many thoughts. This book contains alot of technical language, so you may want to have a dictionary with you or take down the words you are unfamiliar with. Overall, this book is simply amazing, and I'd recommend it to any intelligent individual. 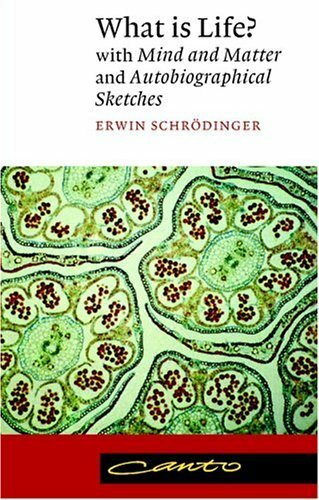 This is another great work of Erwin Schrodinger which gives an insight into the biology of life from a physicist's perspective that inspired scientists like; Francis Crick who discovered the structure of DNA, J.B.S. Haldane, and Roger Penrose. It is clear from this work and other books of Schrodinger that he was one of the few physicists who deeply thought of the inner most secrets of life. This book is divided into two parts: What's Life (7 chapters) and Mind and Matter (6 chapters). The physicist's most dreaded weapon, the mathematical deduction can not be used for life because it is too complex to be accessible to equations. The orderliness required for the preservation of life does not come by the random heat motions of atoms and molecules, but statistical averages that provide order. Schrodinger asks a simple question; why is life made of so many atoms and not just a few. He offers three examples; higher magnetic fields, increase in molecular population and the error introduced into a reaction rate constant or any other physical parameter would be far too great if only few molecules are involved to form life. Hence orderliness, and of course evolution and diversity of life, requires very large population of molecules. The world is a construct of our sensations, perceptions, memories; all existing objectively and all scientific knowledge is based on sense of perception and nonetheless the scientific views of material processes formed in this way lack all sensual qualities and can not account for the latter. Theories that are developed from scientific observations of experiments never account for sensual qualities. The sentient, percipient and thinking ego does not figure anywhere in our world picture, because it is itself the world picture. It is identified with the whole and not part of it. The physical world lacks all the sensual qualities that go to make the subject of cognizance. It is colorless, soundless, and impalpable. The world is deprived of everything that makes sense in its in relation to the consciously contemplating, perceiving, and feeling the subject; no personal god can form part of world model that has only became accessible at the cost of removing everything personal from it. God is missing from spacetime picture like sense of perception or ones own personality. Upanisads (Hindu Scripture) states that Atman = Brahman, the personal self equal the all comprehending eternal self. Consciousness never experienced in plural only in the singular, and plurality is merely a series of different aspect of one soul and one conscious produced by a deception (Maya). There is no multiplicity of minds; in reality and truth there is only one mind. Before and after is not a quality of the world we perceive but pertains to the perceiving mind and don't imply the notion of space and time. After relativity, the notion of before and after reside on the cause and effect relationship. The general directedness of all happenings is explained by the mechanical or statistical theory of heat. The Second Law of Thermodynamics states that order changes to disorder but not disorder to order, and time travels in one direction from past to future, but not future to past.The statistical theory of time has a stronger bearing on the philosophy of time than theory of relativity. The latter presupposes unidirectional flow of time while statistical theory constructs from order of events. My body functions according to laws of nature, but I direct body motions. The word "I" means to state that I who control the motion of the atoms and molecules according to the Laws of Nature. The uncertainty principle and the lack of causal connection in nature introduce certain features into physical reality. For example, we can not make any factual statement about a physical system without interacting with it which would change the physical state of the system. This explains why no complete description of any physical object is ever possible. These laws have pushed the boundary between the subject and object. In fact subject and object are only one, and no barrier exists. It is the same element that goes to compose my mind and the world. The situation is the same for every mind and its world, in spite of the unfathomable abundance of cross references between them. The world is given to me only once, not one existing and one perceived. The last chapter gives brief autobiographical sketches of Schrodinger translated by his granddaughter. Schrödinger was deeply philosophical with strong family: He loved and respected his parents. His strong interest in physics and Vedanta philosophy (one of the six schools of Hindu Philosophy) is apparent, but he shy's away from writing about his complex personal life that involved many women and numerous extramarital affairs. In "What is Life?" monograph, Schrodinger brilliantly enlightens us withthe true concept of life science. He proposes what himself calls "a naive physicist's ideas about organisms." Years before the discovery of double helix structure of DNA, Schrodinger beautifully details how the huge volume of information is related to the structure of what he calls "aperiodic crystal" (what we currently call it "protein structure." 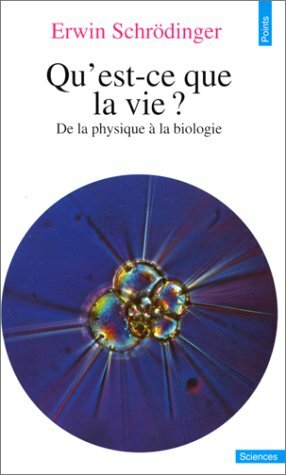 The ideas are still fresh and everybody who really wants to start the REAL and TRUE molecular biology must read this classic. It is astonishing to see how this great thinker and physicist had elaborated, very correctly and properly, to use the statistical tools in physics (statistical physics) to explain the fundamentals of life. 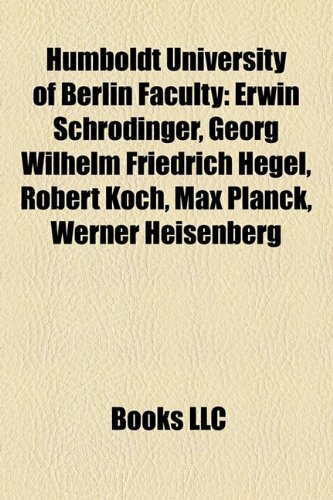 This is a canto version (an imprint offering) of a more detailed work on the biography Erwin Schrödinger by the same author. If there is some way I could rate this book as five star plus, then I would love to do that. This is a very well researched book by an author who makes a passionate presentation of the mind and work of one of the greatest physicists of 20th century. 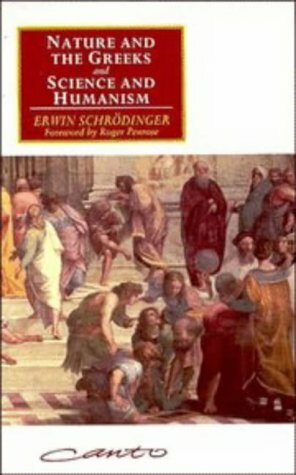 Erwin Schrodinger is an enigmatic figure, a brilliant scientist, philosopher, poet and a humanist who lead a complex personal life; several love affairs allowed and approved by; his wife Annemarie, and husbands of his girlfriends. 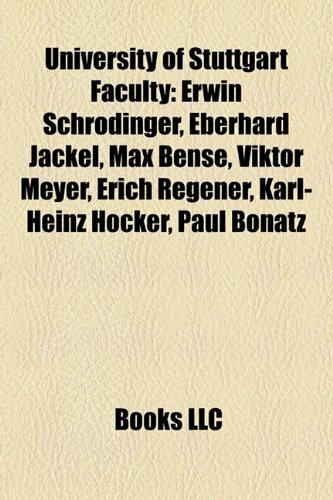 The author has examined and reviewed many archived materials from Schrodinger's family, friends, and universities/academic institutions who knew Schrödinger. The reader becomes fascinated by sheer brilliance, wisdom, sadness, and struggle in personal and professional life of Schrödinger. Schrodinger was deeply philosophical in his thoughts than any other scientist of his time, but he apparently did not make far-reaching philosophical conclusions from his work in quantum physics. He was held back because he knew there was a lack of clarity. Schrödinger was deeply influenced by the thoughts of Schopenhauer, and developed strong interest in Buddhist philosophy and Vedanta (one of the six schools of Hindu philosophy.) Schrodinger intensively studied the works of Schopenhauer, Henry Warren, Max Welleser, Richard Garbe, Paul Deussen, Max Muller, and Rhys Davids to understand Hindu and Buddhist philosophies. Erwin's interest in Vedanta and Upanishads started at a young age when he was accustomed to cold hungry time in war-torn Vienna. His search for the truth never reached conclusion as his one time lover Hansi Bauer noted, but his belief in Vedanta remained the same since 1920 until his death. He was a life long believer of Vedanta. He lashed out Christian churches accusing them of gross superstition in their belief of individual souls. Quantum physics has tremendous philosophical implications, which revolutionized modern thought in science and philosophy because it did not agree with the philosophy of materialism expounded by Newton. Interpretation of quantum world suggested that strict determinism and predictability is not an accurate description of reality, and consciousness is an integral part of the laws of quantum physics. In other words, the human observer (biological system) and the observed (rest of the universe) is not merely a biological (cognition) phenomenon but more than that. One can not actually derive the Schrödinger wave equation from classical physics. It is a justification and hence the final equation is used to calculate the energy levels that fit the experimental results such as the observed UV spectra of a hydrogen atom. Schrodinger developed relativistic equation first and then the non-relativistic equation. The relativistically framed (without spin) equation did not agree with the experimental result because it did not include electron spin. It was not known at that time that electron has a spin. This equation was good for a particle with no spin and it was the same as fine structure formula of Sommerfeld. According to Vedanta; there exists only one universal being called the Brahman, which comprises all of reality in an undivided unity. This being absolutely homogeneous in nature: It is pure thought, which is not an attribute but the substance devoid of any qualities. The Brahman is associated with a power or a principle of illusion called Maya. As a magician creates illusion during his act, Brahman through Maya creates the appearances of the material world. Maya is the cause of the material world, and an indivisible Brahman is present in all forms of existence. The soul in reality is an infinite Brahman enmeshed in the unreal world of Maya. The unenlightened soul is incapable of looking beyond this illusion, but an enlightened soul knows the difference between its true self and the external illusory world thus paving the way for identifying itself with Brahman. This unity and continuity concept of All in One expounded in Vedanta is consistent with quantum physics where the universe is superimposed inseparable waves of probability amplitudes. The existence of Heisenberg uncertainty phenomenon and quantum Zeno effect is an allegory to the illusions of Maya or a prelude to the indivisible, All in One, Supreme Brahman. This intense philosophical debate was taking place in the mind of young Erwin in the midst of discovering wave mechanics! Nov 1925 to Dec 1926 is a critical period for the development wave mechanics. Erwin's thought process was so upbeat that his creative power peaked during this period and remains without parallel in the history of science! In personal life; Erwin had contempt for Nazis but never openly criticized the regime. Schrodinger left Berlin 1933 to protest Nazi regime, in the same year he was awarded Nobel Prize with Paul Dirac. At one time he considered a faculty position at Tata Institute (Indian Institute of Science) in Bangalore, India at the invitation of Nobel laureate C.V. Raman. Erwin's love interests include a long list of women; Felice Krauss, Lotte Rella, Ithi Junger, Hansi Bauer-Bohm, Hilde March, Sheila May Green, Kate Nolan, Betty Dolan, Lucie Rie, and maids of Vienna during war years. He had two daughters Ruth and Linda from his lovers. Hilde March, wife of physicist Arthur March, with whom he had a daughter was his pseudo-wife living side by side with wife Annemarie under the same roof. It is ironic that the personal stress associated with his daring extra martial affairs unperturbed by the pressures of the society, and sadness created by financial problems and deaths of his parents and the terrible guilt that ensured due to his inability to do more to care them may have helped rather than hindered his creativity. In a letter of 1930, he recalls how his father's death on the Christmas Eve of 1919 left little cheer in his soul for the festive season throughout his life. This demonstrates the emotional and human side of Erwin; the deaths of his parents shook his consciousness and left him with tremendous pain and loss. Schrödinger's life is filled with drama and sadness caused by several failed romances; three illegitimate children, infidelity, two wives, nervous breakdown of his wife Annemarie, and some of his lovers, and his own illness due to various health problems, and constant displacement due to war and the Nazi regime. Yet his contributions to mankind are immortal. At the end of the book you feel like crying at the triumph and tragedies of this great human being. 2. What Is Life? : with "Mind and Matter" and "Autobiographical Sketches"
I bought the hardbound edition (1989) of this book in a 2nd hand bookshop in Tokyo. As soon as I started reading it my interest forthe life of this great scientist of the 20th century increased dramatically and I couldn't stop my reading. Two points are worth telling you about Schroedinger's life. The first is about the hardships that he had to face during most of his life. He joined the Austrian-Hungarian army during WW1, survived the war and continued his research. The second is about his relationships with women that catalysed his genius. This is not so surprising and is a characteristic often seen in those creative individuals who contribute very greatly to the advance of human knowledge (in this case we are talking about quantum mechanics and the meaning of life - see his book "What is Life"). 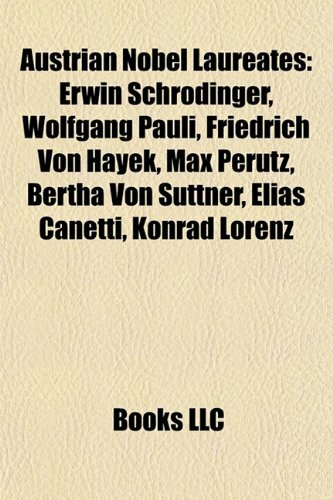 Moore's book reports also the contents of many letters that Schroedinger exchanged with his great collegues (Einstein, Bohr, Pauli, Born, etc.). From these letters we can grasp some of the feelings that Schroedinger felt during his original scientific work. 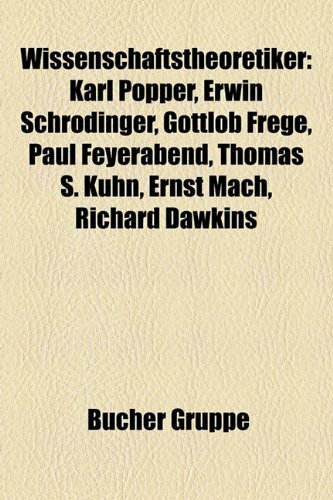 I did not read yet other biographies about Schroedinger and, hence, I cannot compare this book to others on the same subject. All I can say is that this book conveyed to me the information necessary to better comprehend the life of this famous scientist. 4. Was ist Leben? Die lebende Zelle mit den Augen des Physikers betrachtet. 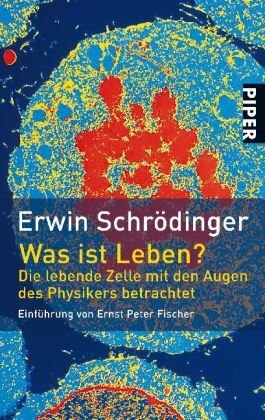 Erwin Schrödinger is one of the greatest figures oftheoretical physics, but there is another side to the man: not onlydid his work revolutionize physics, it also radiacally changed thefoundations of our modern worldview, modern biology, philosophy ofscience, philosophy of the mind, and epistemology. 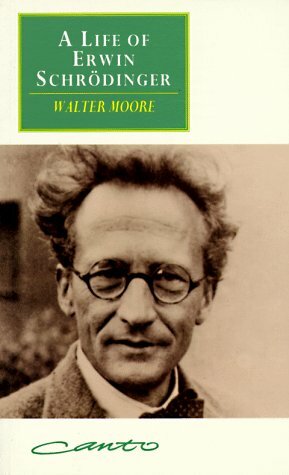 This book explores the lesser-known aspects of Schrödinger'sthought, revealing the physicist as a philosopher and polymath whosehighly original ideas anticipated the current merging of the naturaland the social sciences and the humanities. Thirteen renowned scientists and philosophers have contributed to thevolume. Part I reveals the philosophical importance ofSchrödinger's work as a physicist. Part II examines his theory oflife and of the self-organization of matter. Part III shows howSchrödinger's ideas have influenced contemporary philosophy ofnature and our modern view of the world, drawing a fascinating pictureof the ongoing synthesis of nature and culture: one of the mostinteresting developments of modern thought. 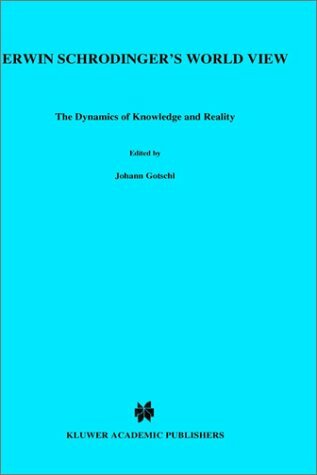 The volume also contains the most comprehensive bibliography ofSchrödinger's scientific work, making it at the same time a bookof acute contemporary relevance and a major work of reference. Few physicists influenced their subject, both operationally and philosophically, as did Erwin Schrodinger. It was with great anticipation, then, that I began this book. Indeed, having read previously the outstanding accounts of Bohr (by Pais) and Heisenberg (by Cassidy), I hoped to be 'wowed' for a third time. Unfortunatley, Moore's book is a supreme disappointment and, aside from the fact that it deals with a towering figure of 20th century physics, has nothing in common with the other two. Moore is unable, or unwilling, to separate the relevant from the ridiculous in his narrative. Equal space (? even more) is given to the soporific details of Schrodinger's travels (yet another vapid description of a yet another love affair) as is devoted to an analysis of his work or even to the influences on his life and intellect. I've turned to this thin book far too many times to count. It was also a life-saver when I was learning General Relativity because of its clear and careful exposition. Schrodinger was doing this back when nobody was quite sure what the deal was with, e.g., index notation, and he took pains to lay out the benefits -- but also the limits -- of that system. See, for example, his discussion of the derivative operator, something that is almost always glossed over. I'm in the middle of my dissertation now, and every now and then I hit on a subtlety in GR that my advisor has missed but I caught from reading this book. Don't get thinking that this is Schrodinger's book on the unified field. It is more like the lecture notes of a very intelligent man figuring out what on Earth this truly new version of gravity is all about. In the end of course this book is too slim to live on its own as a GR text. You will need to carry around a bigger, more comprehensive tome to get through your studies. As a handguide and emergency sense-maker, however, it has few equals. I am an advanced undergraduate physics student who has started to go through Space-Time Structure. It seems to be a very good book, but the section introducing tensors was not as lucid as it could be. 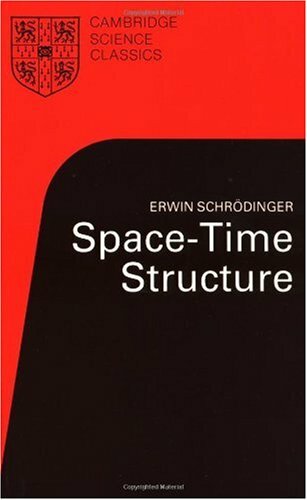 If you already know tensors or have a good book like Shaum's Outline of Tensor Calculus, then it can be a very useful introduction to the affine viewpoint of relativity that Schrodinger promotes. The discussion of nonsymmetric unified field theories is introductory and it would be necessary to look up the references it cites to get a more in depth understanding of them. 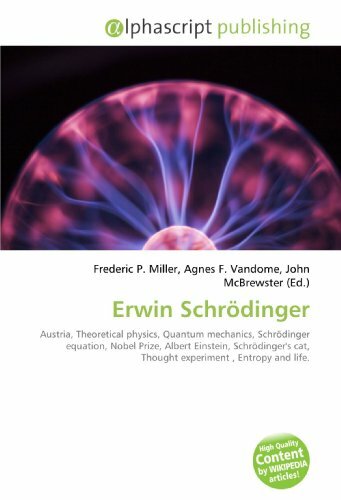 This book presents the results of Schroedinger's work in Ireland in which he explored the manifold of possibilities for unified field theories along the general lines pursued by Einstein. The main accomplishment was in constructing such a theory from just the connection, with metric derived as a consequence, using no ad hoc assumptions.I extended this work in my 1977 Master's thesis.While this kind of theory has gone out of style, it is still an exciting pursuit and Schroedinger's writing is clear and compelling. 11. El Gato de Schrödinger. (Erwin Schrödinger, científico; crítica)(TT: Schrödinger's cat. )(TA: Erwin Schrödinger, scientist; criticism): An article from: Siempre! This digital document is an article from Siempre!, published by Edicional Siempre on July 22, 1999. The length of the article is 2683 words. The page length shown above is based on a typical 300-word page. The article is delivered in HTML format and is available in your Amazon.com Digital Locker immediately after purchase. You can view it with any web browser. 12. 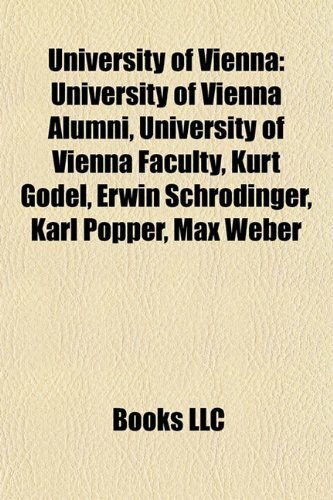 Erwin Schrödinger: Austria, Theoretical physics, Quantum mechanics, Schrödinger equation, Nobel Prize, Albert Einstein, Schrödinger's cat, Thought experiment , Entropy and life. 15. Die Muttersubstanz des Actiniums, ein neues radioaktives Element von langer Lebensdauer. with: SCHRÖDINGER, Erwin, (1887-1961). Notiz über die Ordnung in Zufallsreihen.